I hate the term writer’s block. It’s too strong—like there’s this solid barrier that randomly shoots up, completely walling off any imagination. The frustration is real, but I don’t believe it’s a block. It’s more like tripping over that rock you didn’t see or stepping into a hole that you thought was a puddle. Sometimes we manage to muddle through. Other times we fall and abandon the work altogether. And occasionally we don’t even know what we tripped on to begin with. 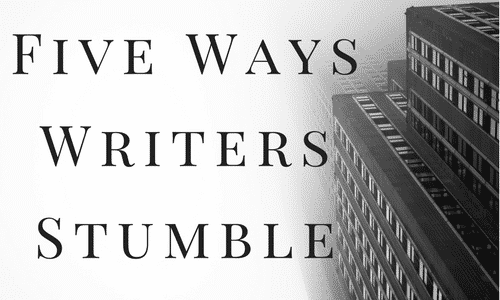 Here are five stumblers I’ve found that give writers the most problems. In order to work on a manuscript, one first needs to go back, reread that last chapter, maybe layer in a few details that help round out the characters. Settle into the heart of a peaceful quiet, find that creative flow state. Hours of complete solitude is necessary; distractions of any kind shatter the fragile environment needed to produce a masterpiece. This perfect scenario is like the lunar eclipse. The Earth, Sun, and Moon must align for it to happen, and even then you have to be in the right spot at the right time to experience the phenomenon. Waiting for the ideal time to write is a lot like waiting until inspiration strikes. Both rarely, if ever, come. 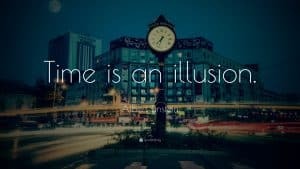 Bottom line, regardless of how hectic life can be, set time aside and write every day. Even if it’s twenty or thirty minutes at a time. Throw some words on a page. Pantsing was coined for people who “write by the seat of their pants.” This one is easily avoided by taking a few days to outline your idea. Create a three or five act structure. Where is your beginning, middle, and end? What’s the conflict, and how is your protagonist going to resolve it? Yeah, neither does a 150,000 worded hot mess that has flat characters and no clear direction … or a story that doesn’t get written at all. 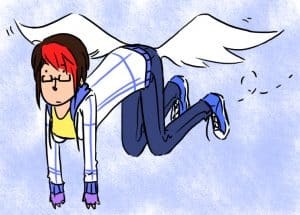 I’m not saying that being a pantser is wrong. If that’s your creative process, have at it. But if it takes three years to complete a novel because you’ve had to rewrite the middle a thousand times, that’s a major stumbling block. Trying outlining your next work and see if it helps. 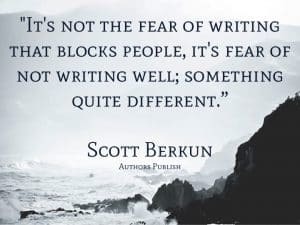 And remember, outlines aren’t written in stone, they often shift and change, but defining the foundation of the story may alleviate that second act slump, which is when most writers put the manuscript down and start working on something else. That’s because you’re not reading. 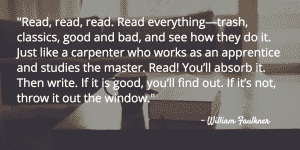 Reading is essential to writing. It hones our skills in vocabulary, sentence structure, and character development. More importantly, it sparks creativity and gives us an understanding of what we like, what we want in a good book. Knowing what kind of story you like to read is imperative to finding the one you want to write. Ah, fear. The bane of all creative existence, the cancer of ingenuity, the blight of our souls. It takes up residence as an insidious voice niggling in the back of our minds. The only way to smother fear is by facing it. Sadly, some writers never do. Instead, they squirrel away manuscripts in attics and thumb drives, never sharing their words with the world. Only one way to get through this one. Be brave and write the story anyway. 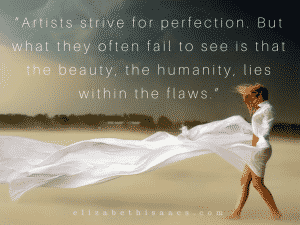 Perfectionism was ingrained in me in college when we’d spend hours going over a musical piece, trying to get it right. That deep-seeded-slightly-masochistic streak never left, and to this day I struggle to just throw the first draft on the page. It isn’t enough to know I’ll go back and fix it. That telling, passive, ridiculousness is still there, glaring in accusation. For me, first drafts are the hardest part of the writing process. And this stumbling block doesn’t just appear in the creation process. No. This sucker stays throughout editing and revisions too. But we need to remember that perfection is an impossibility. If we’re not careful, we’ll spend eternity grasping for something that cannot be achieved. And even if it could, humanity is so flawed I doubt we’d be able to recognize it. It may be strange, but that notion comforts me. The best way to combat perfectionism is to make the story as strong as you can, send it on to your agent, and then move on to the next idea. What are your stumbling blocks?